Dr. Edward Williams, a longtime family physician who also served as the emergency room director at Houlton Regional Hospital for several years, has died. 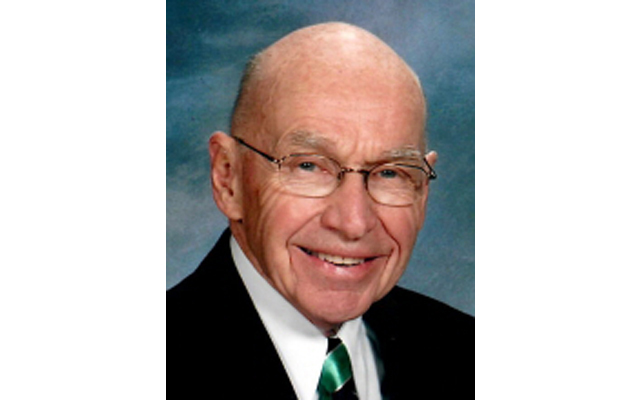 HOULTON, Maine — Dr. Edward Williams, a longtime family physician who also served as the emergency room director at Houlton Regional Hospital for several years, has died. Williams died on Monday, August 20, 2018, at his residence while surrounded by his family. He was 89. Born in Brooklyn, N.Y., on March 11, 1929, Williams moved to Linneus in 1937. He was a graduate of Ricker Classical Institute and Bowdoin College. After marrying his wife, Nadine, in 1953, they moved to New York so that he could attend Cornell Medical School. Following his internship and residency, he moved to Salina, Kansas, where he served as captain in the medical division of the U.S. Air Force. Following that, the couple returned to Houlton, where in 1958 he began to practice as a family physician. Janice Hastings, 63, who now lives in Cambridge, Mass., recalled Williams fondly Thursday. She and her husband were staying in Houlton with her parents for a short time back in 1978 when she was pregnant with her first child. Karen Moore, a Houlton resident, agreed. Williams retired from active practice in 1996 and thereafter served as medical director for Madigan Estates Nursing Home. Friends may call at 10 a.m. on Saturday, August 25, 2018, at Military Street Baptist Church, Houlton, where a service will be conducted at 11 a.m. with the Rev. Randall Burns officiating.